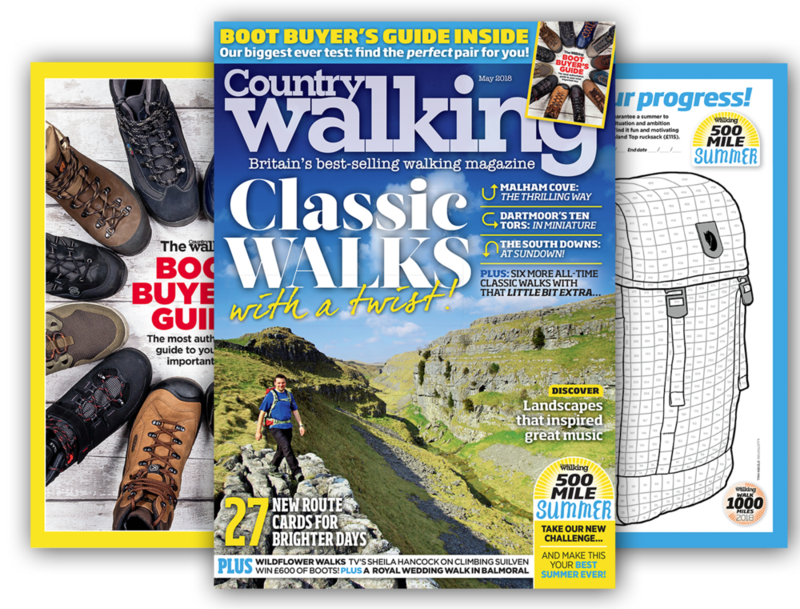 Britain’s best-selling outdoors magazine is packed with Britain’s best-loved walks this month – but twisted to give them a freshness and unexpectedness you’ll love. There’s our biggest-ever boot-buyer’s guide too and lots more to have you champing at the bit now the brighter days are here and the mud has turned back to firm and friendly turf. Plus it’s the launch of our new #500milesummer challenge and your chance to get your new colour-as-you-go tracker!